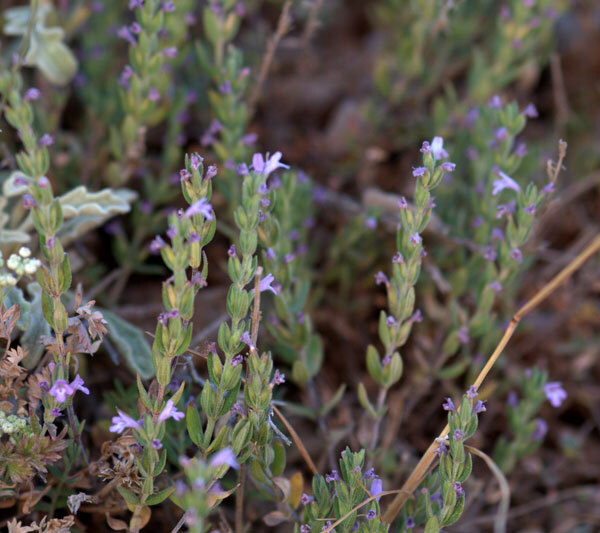 Limonium sinuatum - sea lavender - photographed on the walk around the headland at Aghios Nikolaos. 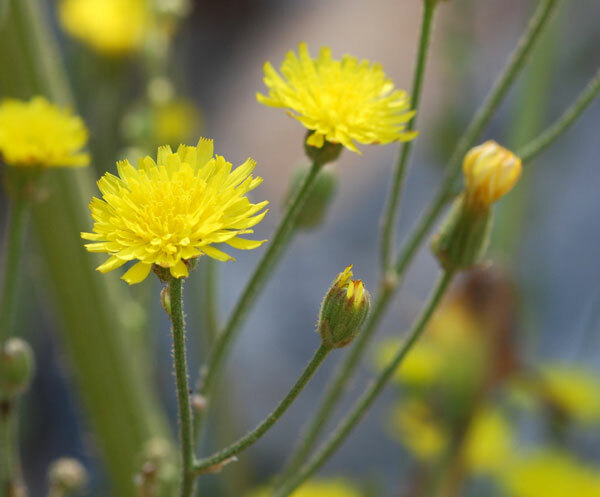 This is a wild form of the florists' dried flower 'statice'. 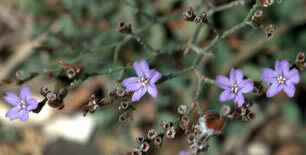 Acantholimon androsaceum / Τσαπόόνι - A very attractive plant which forms spherical bushes of spiky leaves. This is the first time I have seen this high mountain flower – we were on a trip to the Omalos Plateau on a wonderfully clear and sunny day. 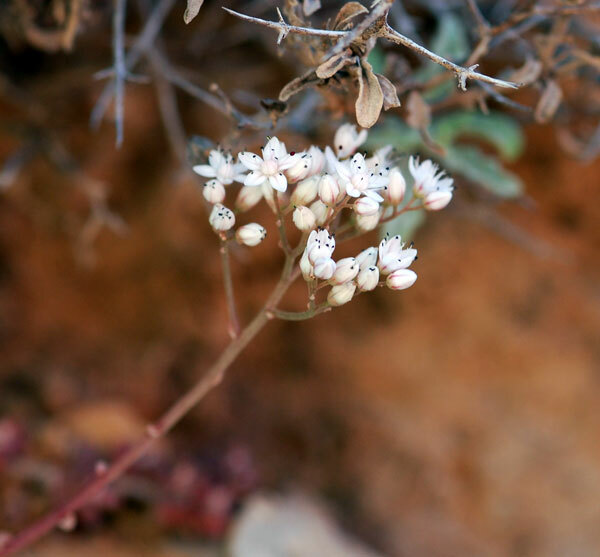 Sedum - This little plant was flowering on a very shaded north facing cliff above the Omalos Plateau. I have tried to identify it in vain and would be grateful for any help. 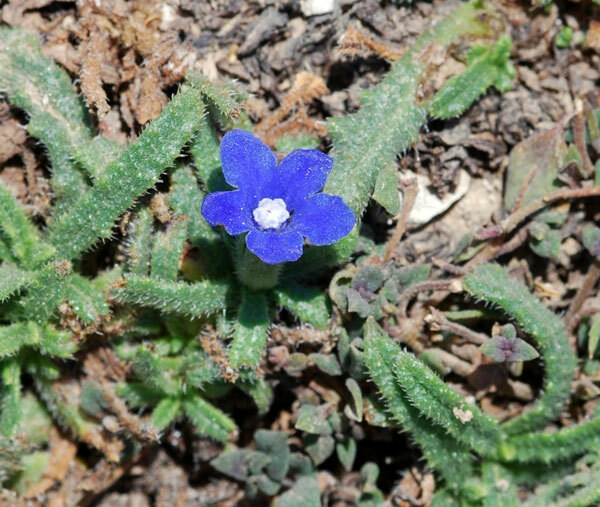 Anchusa cespitosa / Μπλάβι / Ochsenblume - This is one plant that I have long looked forward to photographing. 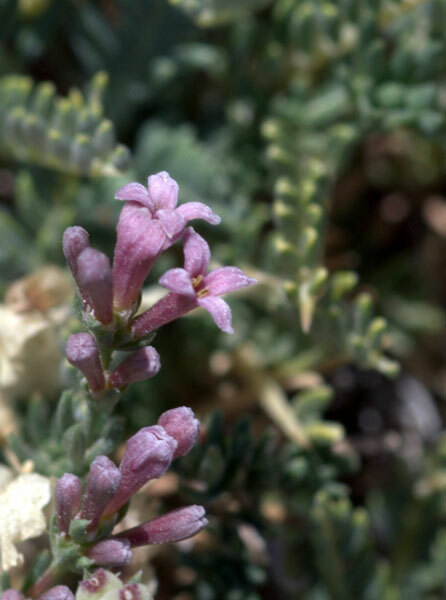 This year I went into the mountains with Daphne Fairfoot from Akrotiri, where we spent some time looking for precisely this. We were told that it had finished flowering, but, having taken a wrong turn on the track, we found several plants still in flower. It was a wonderful experience and one that I intend to repeat next year! Mystery 1 - I have absolutely no idea what this. 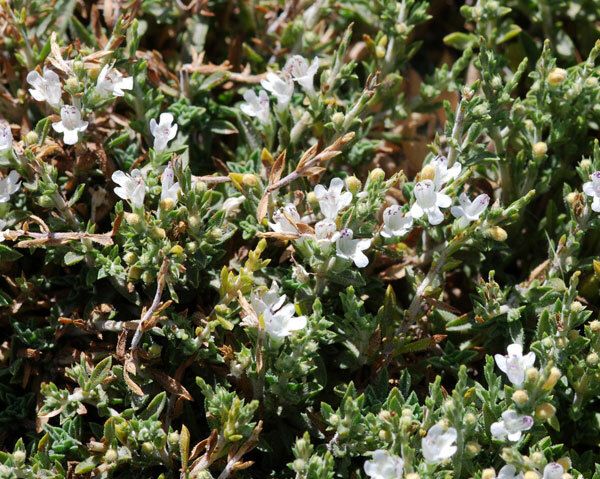 It was found growing close to the Anchusa on a bank with many other flowers, including the next one. Lamium garganicum ssp. striatum - We found this little mint on the bank alongside my Mystery Plant. I think I have the right identification, but if not, please can someone let me know! Berberis cretica / Λουτσιά, γλυκγκαθιά / Kretische berberitze - I photographed this lovely, bright flower close to the Kallergi Refuge, while we waited for our coffee and biscuits. This striking deciduous shrub is endemic to Greece and in autumn bears shiny black berries. Compositae - Another flower photographed in the White Mountains that I am at a loss to identify. 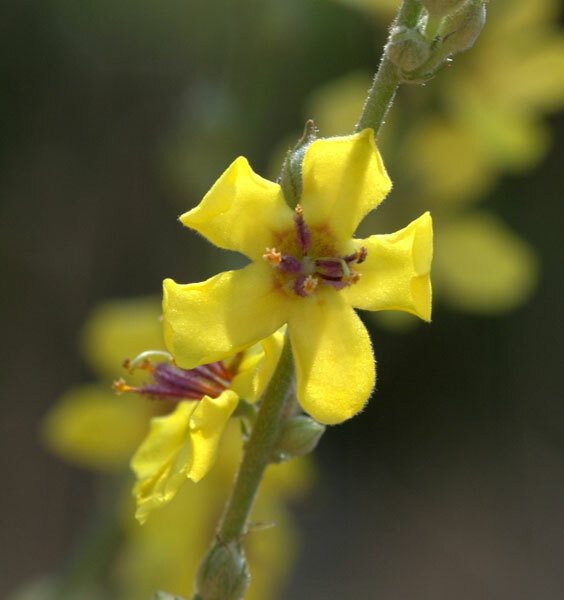 Verbascum arcturus / Βερμπάσκο η άρκτος / Königskerzen - This lovely, bright Verbascum is endemic to Crete. It can only be found in the west of the island, often on steep cliffs or in gorges. 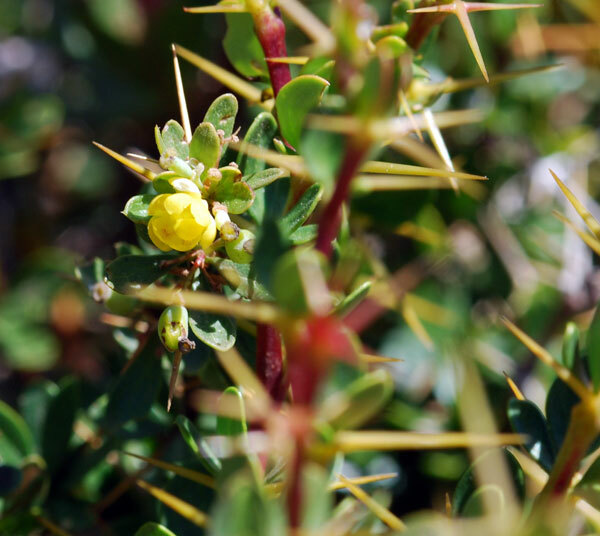 Putoria calabrica / Πουτορία η καλαβρική / Kalabrische Putorie - This pretty little plant smells unpleasant. 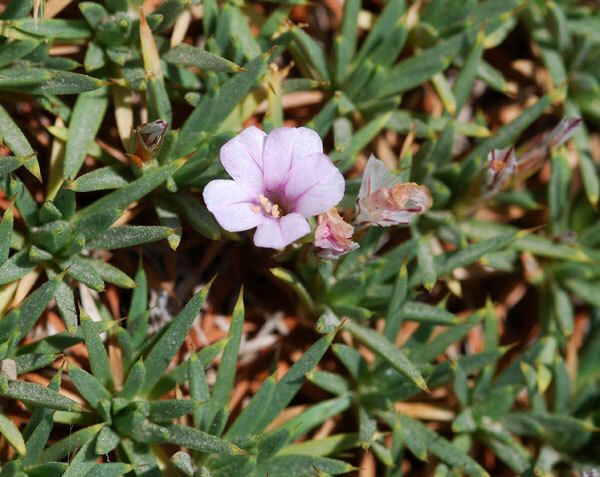 It looks a little like asperula but can be identified by its small fleshy leaves. Again this is the first time I have seen this flower, which grows in the west of the island.